Tapware from Masters and Cooks Plumbing Supplies , Brendale. Shower screen from Sunview Glass, Maroochydore. with tiles from Beaumont tiles in Brendale. 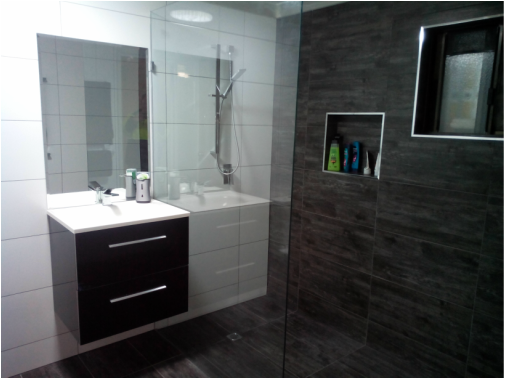 Single pane Glass shower screen from Bathrooms on a budget in Brendale. 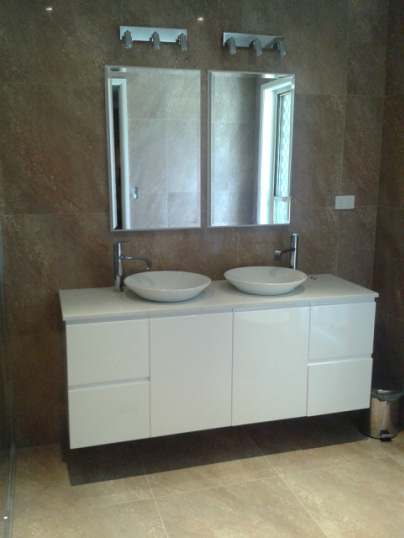 Vanity unit from Up Tiles in Brendale. Geissdorf Toilet from Masters in North Lakes. 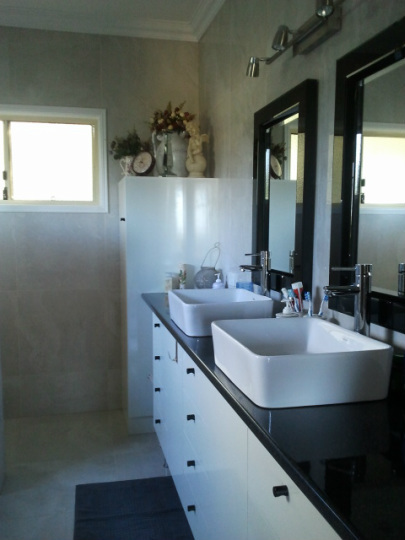 Vanity and mirror from Highgrove bathrooms at Redcliffe. Tiles from up tiles at brendale.